WARSAW — A Warsaw woman was recently arrested after police say she stole items belonging to three separate people in the YMCA locker room. 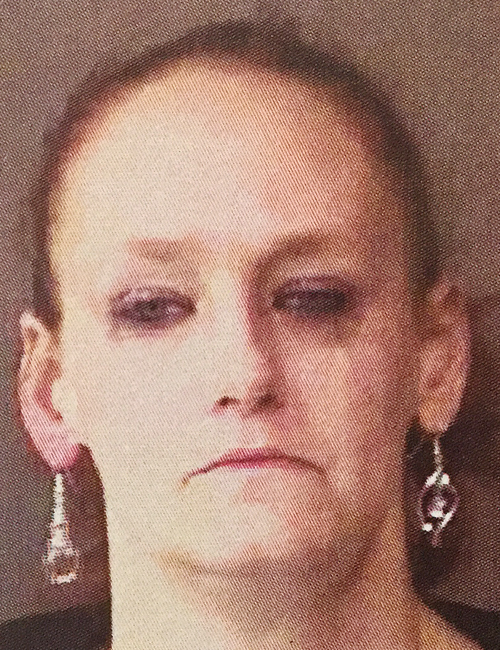 Brandie Elizabeth Swick, 32, 4492 East CR 600S, Warsaw, is being charged with three counts of theft, one a level 6 felony and two class A misdemeanors. On March 10, an officer with the Warsaw Police Department responded to the local YMCA in reference to a theft. Upon arrival, a female advised that she had placed some of her property in a locker and took a shower. When the female returned to the locker, she discovered that her iPhone, phone case, gym bag and headphones were taken. The value of these items was estimated at $750. The officer then spoke with a YMCA employee. The employee advised that she was assisting two other females who also had items stolen out of their lockers. One female had an Apple Watch, valued at $600, stolen and the other had a North Face coat, valued at $400, stolen. Surveillance video from the YMCA was reviewed by the officer. In the video, a female subject, accompanied by two men, is seen signing into the YMCA check-in desk. The video shows the female enter the locker room, carrying one small bag. When the female exits the locker room she is carrying several bags and wearing a coat that she was not wearing when she entered the locker room. The YMCA employee identified the female as Swick through the check-in sheet that Swick had signed. The officer contacted Swick, who agreed to come to the police department for an interview. According to the affidavit of probable cause, Swick admitted that she took the property belonging to the three females. The iPhone was unable to be located but all other items were returned to the victims. Swick was booked into the Kosciusko County Jail on March 21, with a $3,000 surety and cash bond.